Building Concrete Yorkton | Ready Mix | Yorkton Concrete 2012 Ltd.
Get ready mix concrete delivered right to your worksite with Yorkton Concrete 2012 Ltd. With our two ready mix batch plants, we can create specific and precise amounts of concrete with our premium aggregates and mix designs. Our SRMCA certified ready mix concrete that are ideal for many jobs, especially if you are working on a small worksite because the concrete will come to you ready to use. We also carry a wide variety of additional products, such as concrete sealer, to enhance your concrete purchase. 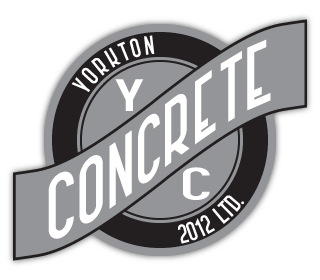 At Yorkton Concrete 2012 Ltd., we have been providing ready mix concrete for three generations. Our experience helps all parts of our team work together to give you outstanding service. We work to dispel the thinking that concrete has to be a plain option for your floors or walls by specializing in coloured and decorative concrete. Save space, time and energy with ready mix concrete delivered throughout Yorkton and the surrounding areas today!